If anyone is interested in a deep dive on this topic, I highly recommend 'How to Read Book' by Adler and Doren. It is a fantastic how to on learning and understanding new ideas. The author mentions writing down a summary after every chapter in the book itself. The final notes are prepared from each chapter's annotations and handwritten summaries. If anyone is interested in reading to retain more, try How to Read a Book  by Charles Van Doren and Mortimer J. Adler. Reviews and summaries of the boook [2, 3]. You may want to read How to Read a Book by Mortimer J. Adler and Charles Van Doren. It depends on your definition of "reading a book." 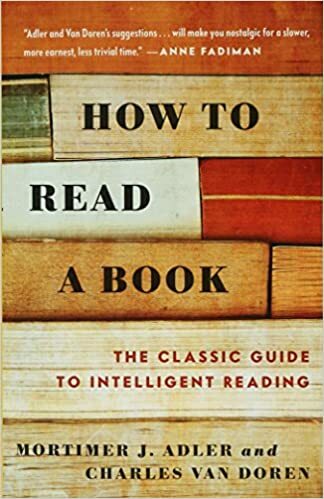 I've been reading a book called, I kid you not, "How to Read a Book: The Classic Guide to Intelligent Reading." 2. Inspectional: "What is the book about?" Best and most complete reading given a limited time. Not necessarily reading a book from front to back. Essentially systematic skimming. 3. Analytical: Best and most complete reading given unlimited time. For the sake of understanding. 4. Synoptical: Reading many books of the same subject at once, placing them in relation to one another, and constructing an analysis that may not be found in any of the books.